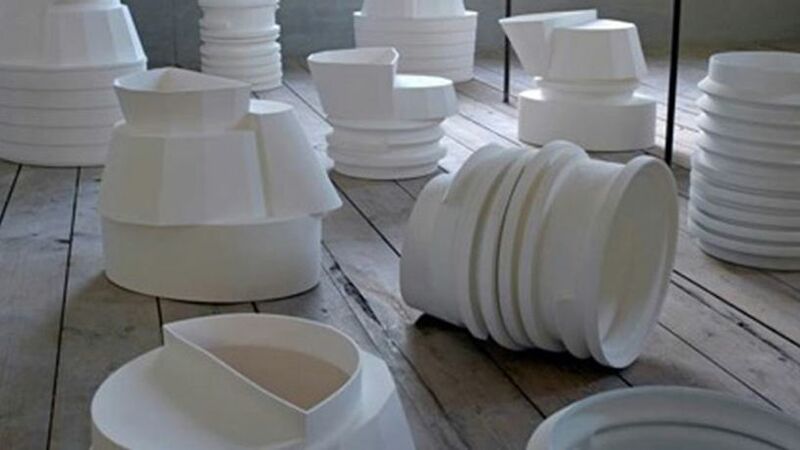 Bodil Manz's work utilises the gentle fragility of egg shell porcelain and dominance of utilitarian white and block colour to create breath-taking ceramic vessels. Her near paper thin cast porcelain cylinders are so translucent that you can often discern the light and shadow passing through both walls of a pot blending interior with exterior. Manz has had solo exhibitions in Copenhagen, Brussels, Amsterdam, London and New York and in 2008 was honoured with a major retrospective exhibition at the Kunstindustrimuseet in Copenhagen. In 2007 she was awarded the Grand Prize at the 4th World Ceramic Biennale, Korea. Work will be in the exhibition rooms as well as in the period spaces.